The nonprofit sector is the collective name used to describe institutions and organizations in American society that are neither government nor for-profit business. Nonprofits come in all shapes and sizes. Most are very small, community based, all volunteer groups, and some are very large, complex, professionally run businesses. This section of our website will shed light on Maine’s diverse and robust nonprofit sector. Scratch the surface of why people love Maine and you’ll find a strong network of nonprofit organizations delivering on their mission. This section shows why we rely on nonprofits to make Maine the way life should be. Frequently Asked Questions about the nonprofit sector such as: “Why are nonprofits tax-exempt?” and “What’s the difference between a nonprofit and a not-for-profit?” Peruse this section to learn more about the history, structure and composition of the nonprofit sector. 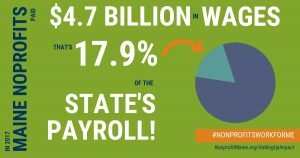 How big is Maine’s nonprofit sector? How many volunteers does the sector mobilize? 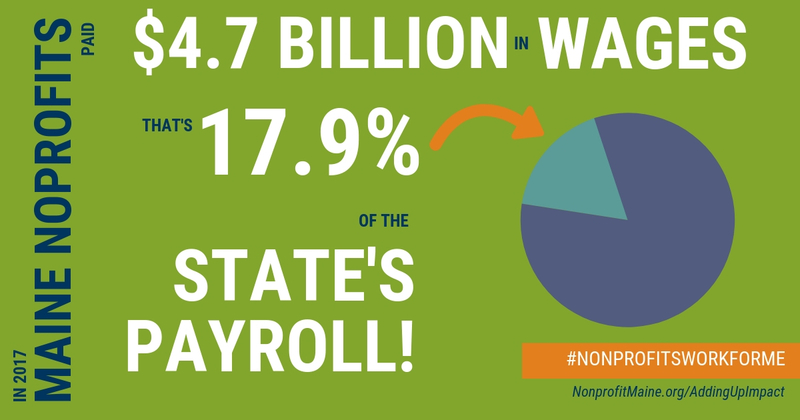 How many Maine workers are employed by a nonprofit? This section presents the latest research on Maine nonprofits as well as national research.